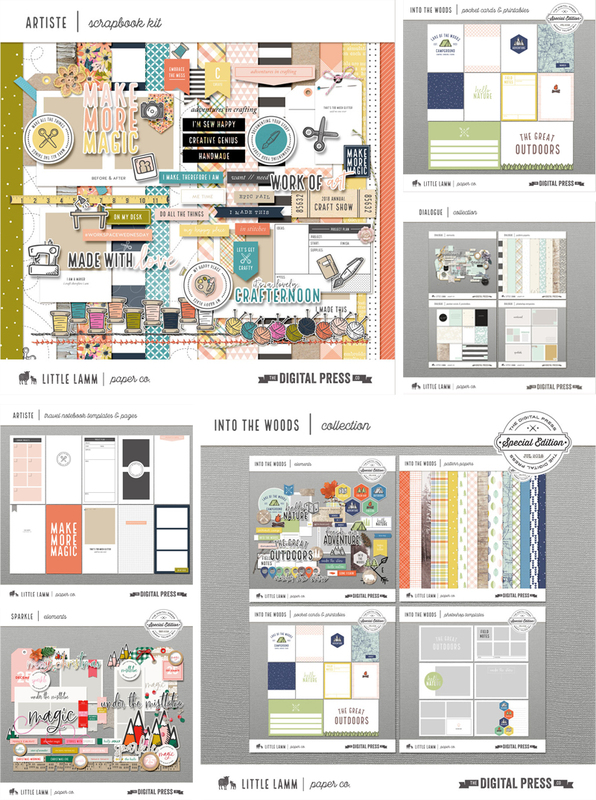 Friday Favorites | Little Lamm Paper Co.
Hello everyone, and welcome to another edition of our designer feature series on The Digital Press blog in 2019 — Friday Favorites! 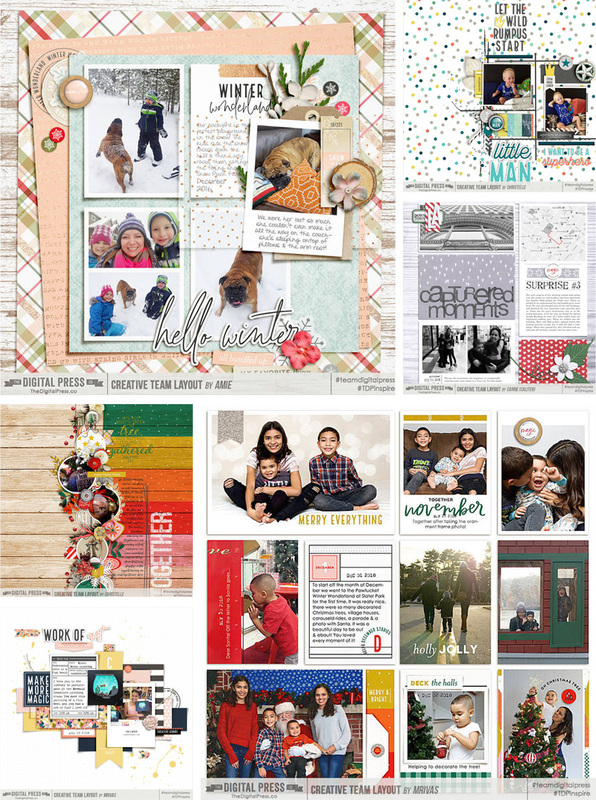 This year, as you know, we’ve been learning a bit more about each of our amazingly-talented designers by having them share some of their favorite things with us each week. 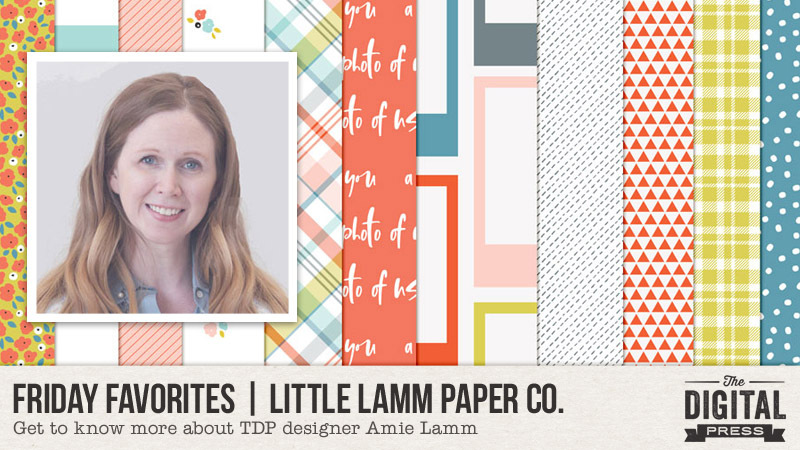 This week, the spotlight is on the creative designer behind Little Lamm Paper Co., Amie Lamm-Griffin. This is actually Amie’s fifth feature here on the blog (you can find her first feature from June 2016 HERE, another from June 2017 HERE, her Foodie Friday post from October 2017 HERE, and her most recent feature from April 2018 HERE). “Life has been hectic here for the past several months and I have had to spend most of my time waiting places… for people, pets, things… etc. I’ve come to depend on my mobile for many many things. 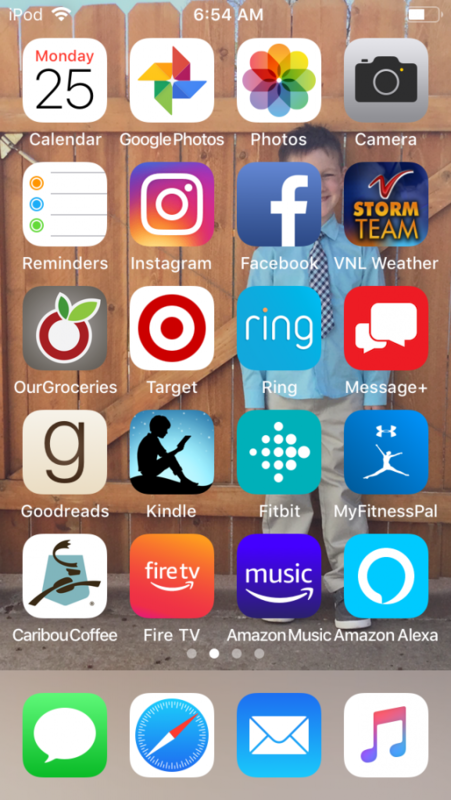 I thought I’d share with you what I am using for apps on a daily or weekly basis in case they can help anyone else who is also super busy and on the go! The calendar app is a favorite, obviously, so I can make note of all the appointments and events going on. But did you know you can link your calendar to Alexa? We have a tablet in the kitchen with ‘Show’ mode and i can glance at all the daily upcoming events while my coffee brews! Google Photos is my next fave for photo back-up. You must open the app as there is no auto back-up feature for iOS, but this saves me tons of time (and it’s FREE!). Reminders. I am constantly asking SIri to make reminders for me. One major problem with a chronic illness like arthritis is that it zaps your brain and makes memory horrible. ‘Reminders’ is something I cannot live without. Our Groceries is where i have my shopping lists for each of the stores I go to. If I’m making dinner, I can just say, “Alexa, ask ‘Our Groceries’ to add milk to my grocery list.” or “add paper towels to my Costco list.” I love hands-free! The Target App. This app is where I find Cartwheel discounts… and it also stores your gift cards and coupons. We don’t have Target delivery here yet, but Target pick-up is A-W-E-S-O-M-E! (and saves you money by limiting impulse buys)! MyFitnessPal is more than just a meal and exercise tracker for me. I also use the meal tracking feature to make my menu plans for the week. You can store recipes in it! Caribou Coffee should be obvious. I need lots of coffee and I like to skip the ordering line. The Fire TV App is fun. We have Fire TV on both the televisions in our house and if you’ve ever had to try to type in a search on your TV with the TV remote, you know what a hassle it is. the Fire TV remote on my phone lets you use a keyboard for those times when you don’t feel like using the voice feature, or when Alexa just isn’t understanding what you say. The other fun thing I can do with the remote on my mobile is mess with the TV in another room. If my 7 year old has been watching too many Minecraft videos on YouTube, I can just use the app to play his least favorite song on the basement Fire TV (this month, that least favorite song is ‘Baby Shark’). And last… but maybe my favorite weapon… would be the Alexa App. I have routines set up to play music and turn on lights in the 7 year old’s room to help get him up for school in the morning. I can use the app to play music and turn the volume on his echo dot up or down. We have one amazon smart plug in his room for his bedside lamp. I haven’t fully automated my other household lights or coffee maker yet, but as soon as they make a good Alexa-enabled coffee machine, I may start! Hopefully, today’s Friday Favorites article has given you even more insight into who Amie is and what helps her in her day to day life, and an insight into her creative style (and again, if you want to know even more about her — scroll up and use the links to her previous features here on TDP’s blog, where’s there’s lots more good stuff!). And the best news of all?! 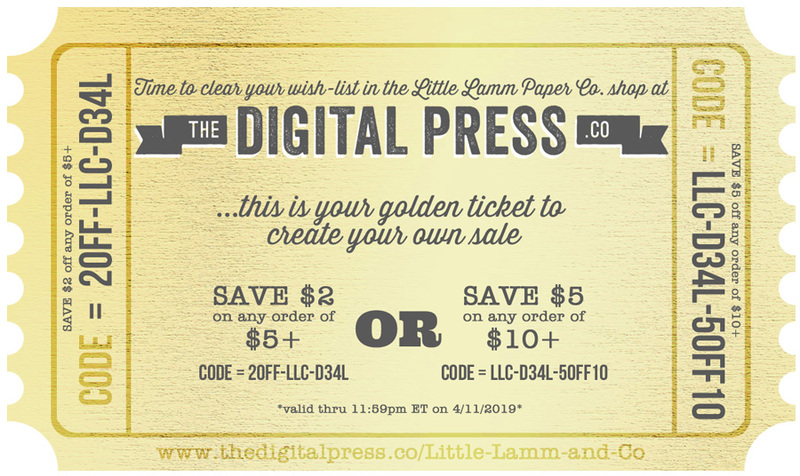 …during Amie’s upcoming feature week here at The Digital Press, you can enjoy the chance to score an amazing deal in her shop if you use the following coupon code when purchasing her digital goodies (this code/sale will be valid through 11:59pm EST on Thurs 4/11). Don’t miss it! About the author Stefanie is a member of The Digital Press creative team and a work from home mother of three adult children living in Cape Town, South Africa with her hubby of 31 years, and 3 Siamese cats. She loves photography, traveling, and digital scrapbooking — documenting the good and the ordinary everyday.